Outer dimensions: L 55" x W 9.75" x H 10"
Inner dimensions: L 53" x W 9.5" x H 7.75"
Looking to add some extra storage to your truck? The DU-HA Humpstor gives you the extra storage you desire without taking up your valuable bed floor space. Whether you want room to store your tools, guns, or just need extra storage space, you'll love the extra room. Constructed of heavy-duty polyethylene with a lockable latch to keep your belongings secure. 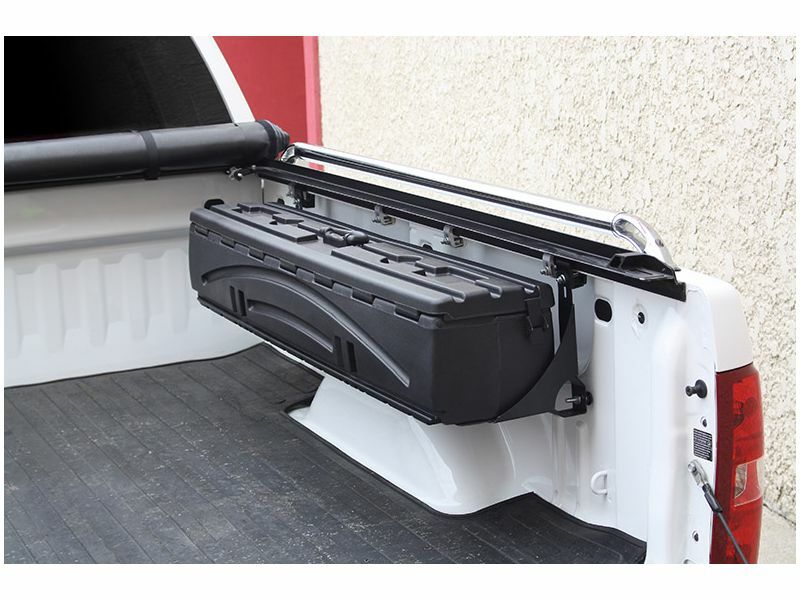 The Humpstor fits underneath toppers, tonneau covers, and roll up covers. If you're a hunter you will be please to know that it fits two shotguns or one rifle with a scope and it acts as a legal gun case in most states. Featuring a rubber seal on the lid to keep it dry and dust free inside. 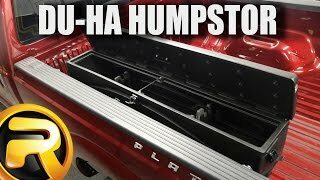 Installing your DU-HA Humpstor is easy! Using the included brackets, it clamps on the lip of the bed rail and requires no drilling. It mounts above the wheel well in your truck with adjustable brackets to get your height preference. If you're looking for additional storage for your truck, you found it! Installing your DU-HA Humpstor is easy. The included brackets clamp to the lip of the truck bed rail. Yep, that means no drilling your truck to get this awesome box in there.